In between sessions, one of the judges asked me, "Can your camera handle all this cuteness?" 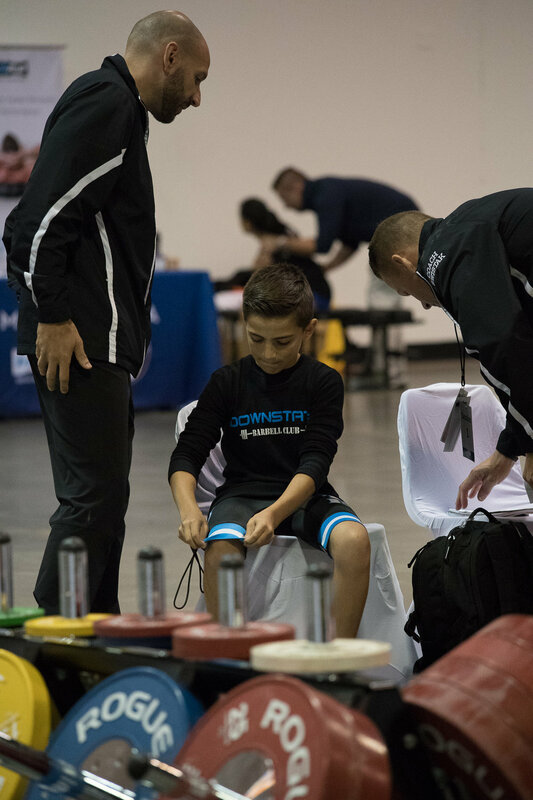 We can all agree that there is something so adorable about young weightlifters. Is it the big weightlifting shoes on their little feet, watching mini snatches, or how you can't see their heads behind a plate when coming up from a clean? 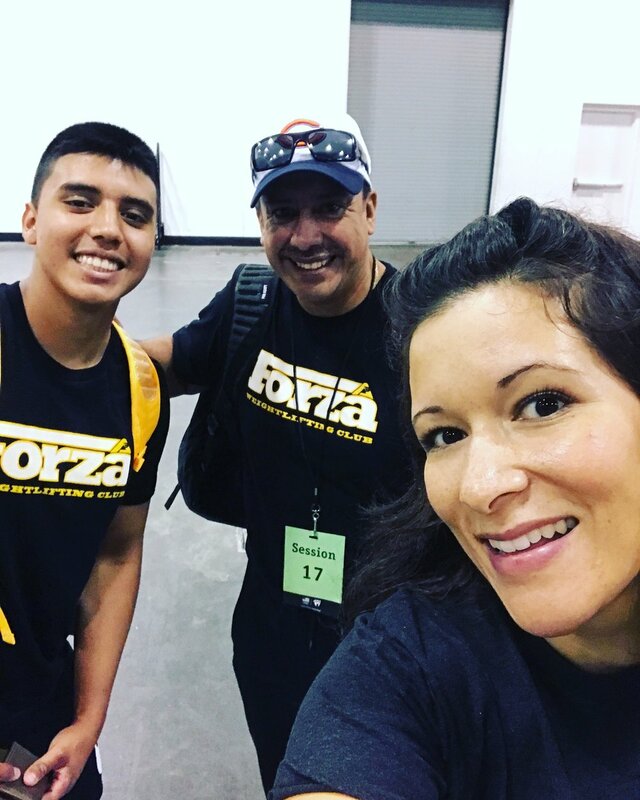 The 2017 Weightlifting National Youth Championships was held in Atlanta Georgia, at the Georgia International Convention Center. With approximately 800 weightlifters, it was a weekend of great lifting and so much cuteness. 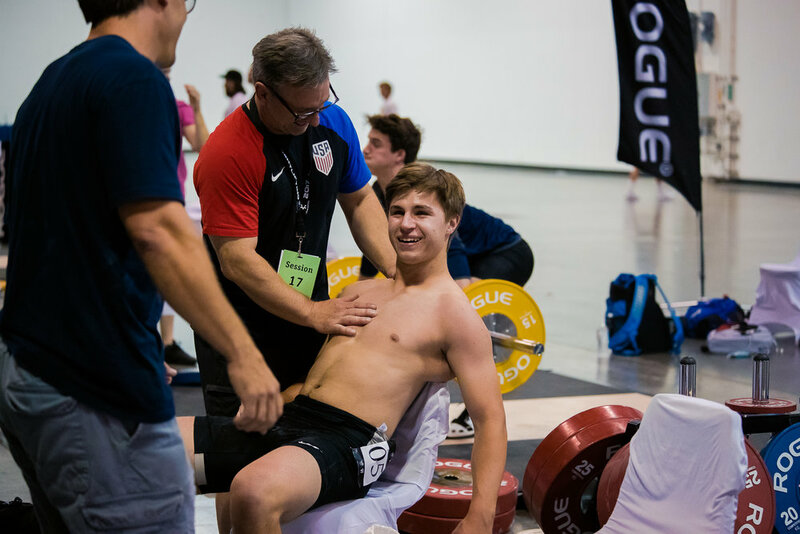 Here are some of the weightlifters from USAW National Youth Championships and other highlights. Enjoy the photos and if you like them, please share and or comment below! Thanks! So much to share, but I want to start with Mr. Prokop and his son Nathan. They legit made me cry. My mascara was running and I looked like a fool drying my eyes with my LiftingLife shirt. I saw right away the eyes of Mr. Prokop and they expressed an immense amount joy for his son. As a parent, I understood and felt what was happening here in these moments captured below. He said to me, "He worked so hard for this." Nathan dominated the platform and dad took to social media to share his excitement. Sorry Nathan for putting you on blast here, but this is something that will stay with me for sometime. Love these guys! Here we have Harrison and Ken. Harrison was actually featured a few months back and I have adopted all of the Crossfit Redzone Family. These guys are all high energy, down to earth people. 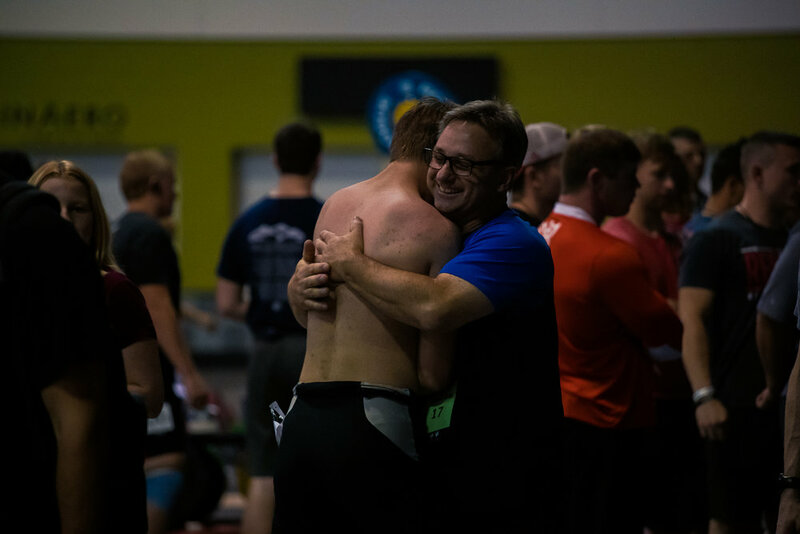 They have a love for weightlifting and their coach, who isn't pictured here, is a an awesome human being. Oh guys... this weightlifter here. ❤️ Not having performed the way she wanted to, her coach.. also Dad, was there every step of the way in all her attempts. She wiped her tears away and posed for this photo. After I finished taking photos of Sabrina, I akwardly hugged her because that's what I do. ha! I hope she returns to the platform next year and dominates the session. "Do you want to go up?" "I don't know, you're my coach." They both chuckled. These two were so much fun to photograph, I talked to dad a bit about his role as dad vs coach in his daughter's life. What an awesome pair here. Playfully he made fun of her clean. He had her attempt a heavier clean after she finished competing. I'd like to adopt you guys too. 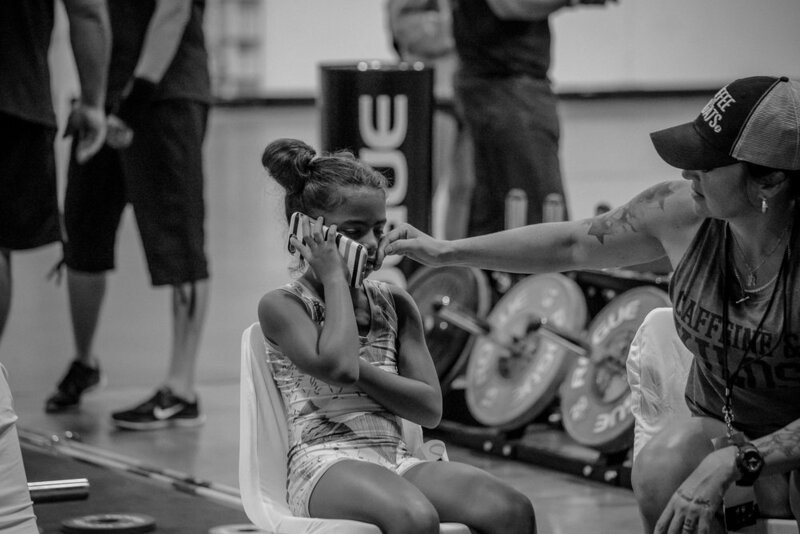 Her daughter had strict orders that a photo of her will be blown up hung up in his gym. ha! What an awesome kid. lol. I photographed Ernie coaching at several meets in New York. Always a pleasure to talk to. Thank you Ernie! Hopefully next time, I will get to see you compete! I've adopted all of them.. parents and all. These group of weightlifters I have photographed from the beginning of Everyday Lifters. I've always run into them at random events and now they are just a part of who I am as Everyday Lifters. I've had the pleasure to see these kids grow and make such great gains in weightlifting. 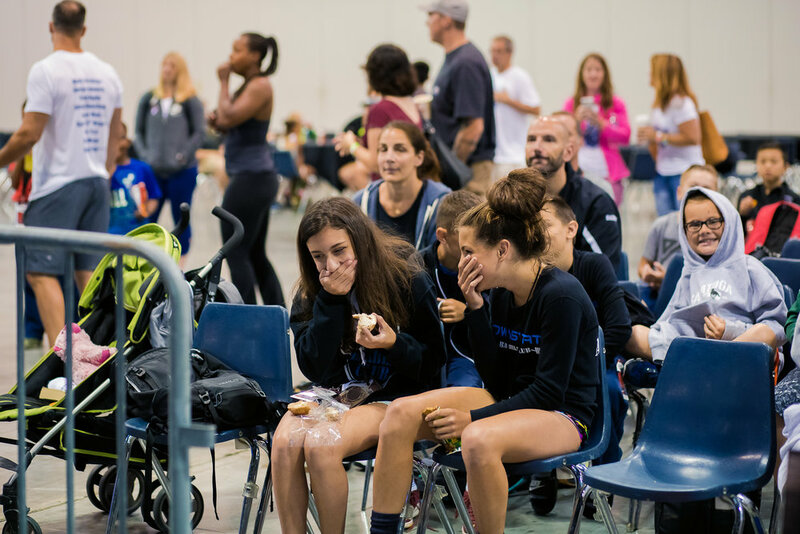 This post wouldn't be complete without small moments captured during Youth Nationals. Here are some of my favorite photos from last weekend. The woman I photographed below looks a bit terrified. But sometimes my camera can do that to people. :) What a delight to do this competition with LiftingLife. Being a part of this awesome group of people has made my year in my journey as Everyday Lifters. Thank you LiftingLife! The look of awe... as Andy from LiftingLife, gave me tips on how to use my camera. Yes, folks.. always a student. Photography is very much like weightlifting in that way.